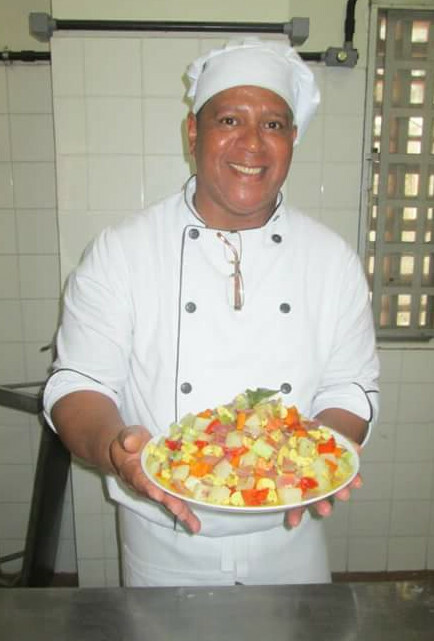 Today we bring you the story of Edson Mesías, a young man who dreamed, since he was a child, of becoming a great chef. His family’s economic situation was ideal for this dream, but then PE&C, Abengoa’s Social Action Program, came along and made Edson’s dream come true. Edson Mesías comes from a humble family from La Plaza Seca neighborhood, in Rio de Janeiro. Edson was raised by his mother and his grandmother from the age of four, when his parents separated. He always dreamed of becoming a great chef. However, their financial resources were not enough to pay for a course for chefs. Despite the difficulties, he had a happy childhood and adolescence with his family and friends. Edson’s mother worked as a maid to support her seven children. In order to contribute to household expenses, Edson started working at the age of 14 selling dairy products. With the money he earned, he was able to buy the things that they needed, such as books and clothes. Since then he has not stopped, always combining work with studies. ” Edson began to show interest in cooking at a very young age when he was amazed at the cooking shows he watched on television. Sister Mabel, the Director of the institution and Verónica Batista, the course coordinator, on observing Edson’s performance and passion, decided to offer him the chance of teaching the next course. Edson was delighted with the invitation but confesses that he also felt a little scared, as it was the very first time that he would be giving a class where he had to teach what he had learned the previous year as a student. The new teacher, who is always praised by his students, says that this chance has given him a life-change and has opened the doors to the competitive job market. ” Edson wants to get a higher degree in cooking, learn languages and travel to other countries to share experiences and knowledge of cooking. The love for cooking and the desire for learning are still present in Edson Mesías’ life. Before finishing the course in the orphanage, he enrolled in another gastronomy course, this time by SENAC and in association with Pronatec. His dreams are to take a course of higher education in gastronomy, to speak other languages in addition to traveling to other countries in order to share experiences and culinary knowledge. 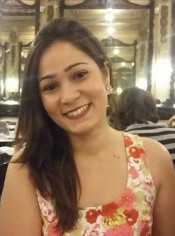 “ PEyC and the Santa Rita de Cassia Orphanage have contributed so much to my life and to my professional growth, giving me – as well as all the local residents of the community – the opportunity to learn and enter the labor market. I know that some of my students are already selling the specialties that they have learned to cook in class. They are future entrepreneurs,” says the teacher with a big smile. * 150 people have attended the basic cooking course, since it began in 2011 and which is taught by PEyC in collaboration with the Santa Rita de Cassia Orphanage.